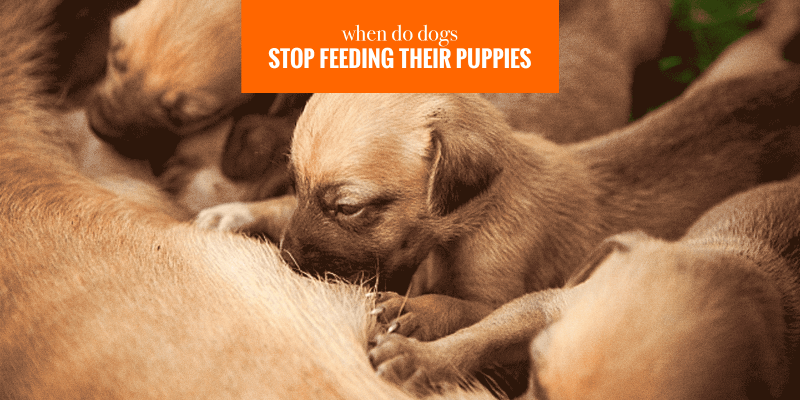 When Do Dogs Stop Feeding Their Puppies? How Long Do Mother Dogs Feed Their Puppies? How Do Mother Dogs Wean Puppies Off? At around three to four weeks of age, a mother dog will stop feeding her puppies as much as she used to. The dam will gradually decrease the amount of milk given, and encourage her puppies to try out some easy-to-chew moist foods. The weaning of the puppies should not be forced to start too early because puppies would not yet be able to chew and digest solid foods on their own. If a dog stops feeding her puppies too early, you will need to intervene and assist in the care of the entire litter. The nursing period lasts about 3 to 5 weeks, and so does the weaning process. 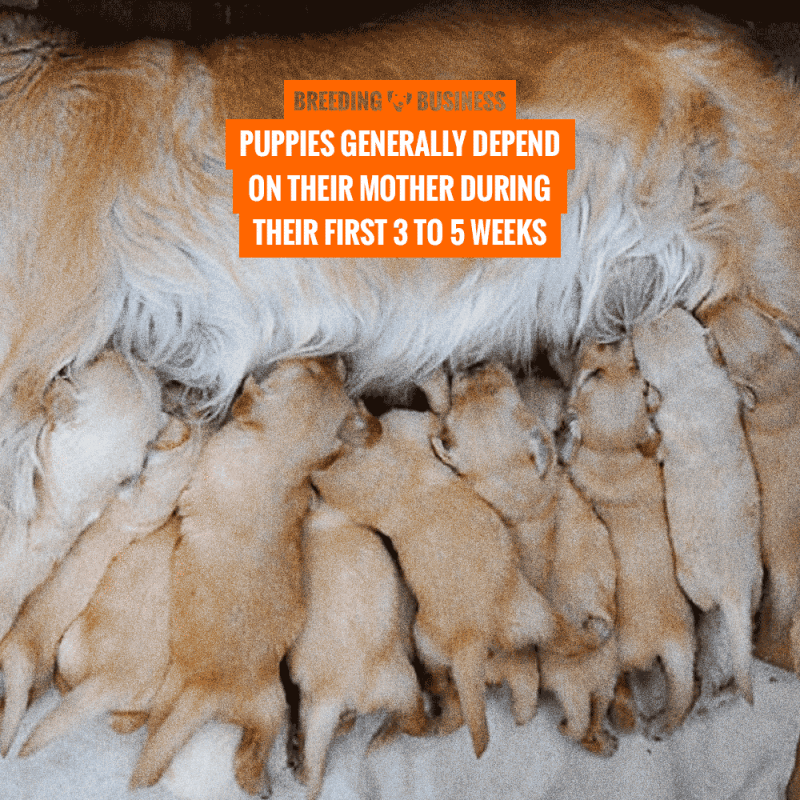 In general, puppies will depend on their mother’s nursing during the first 3 to 5 weeks. After this nursing period, other factors start to weigh to influence their capacities for eating independently. The progression during these 3 to 5 weeks is gradual. 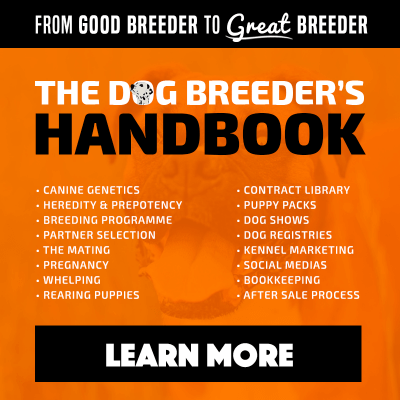 It’s always recommended that this process follow its natural course to obtain the best results and to avoid stress on the puppies by allowing the mom to begin weaning her puppies on her own. The lives of newborn puppies are marked by an unwavering and consistent contact with their mother for they are completely dependent on their mum for survival. During this time, it is crucial that the puppies obtain all the necessary nutrients needed to grow and sustain their health from their mother. Puppies derive their nutrition from their mother’s milk. Additionally, this milk helps fight off harmful bacteria and infections in the babies and provides adequate antibodies during the first weeks of maturation. Puppies who begin weaning too soon, whether it is by environmental factors or in the absence of the mother, are exposed to possible health dangers and behavior problems. Ultimately, nursing not only starts the puppies off on a healthy track, but it’s also beneficial to their social lives. During nursing, puppies learn to understand social communication like biting when they should or shouldn’t, and learning to behave appropriately with other animals and humans. After a few weeks of nursing, the mother starts to gradually distance herself from the pups, causing the babies to begin depending on other means for feeding and attention. This is the process commonly referred to as weaning. 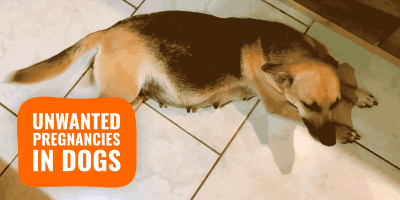 One sign to look for that will let you know the puppies are weaning is that she will often get up during nursing or may even push her pups away from her teats. This is prime time for you to establish a routine of separating the babies from their mother to begin feeding. Remind yourself that what the mother is doing is normal and part of the natural development. In fact, it actually takes some of the work off your hands. There are several reasons for why this happens. First, there’s a natural biological phenomenon that occurs during the nursing stage. As time passes, the mother’s mammary glands begin to produce less milk. As milk flow reduces, fewer nutrients are able to pass to the puppies, and therefore the pups are not able to receive the adequate supply necessary for their growth and they will soon cry of hunger more frequently. It’s also crucial to avoid over-production of milk in the mother’s mammary glands as this can be very painful for her. Generally, the more the pups nurse, the more her mammary glands will produce milk. Likewise, the less they nurse, the less milk is produced. This can easily be accomplished by using replacement meals, or a homemade milk replacement. Another reason why the mother initiates weaning from her pups is due to the growth of the pup’s teeth. A puppy’s teeth can become sharp enough to add considerable discomfort in the mother, as well as pain. Puppies, without meaning to, tend to bite down on the teats while invigoratingly trying to nurse. This is commonly referred to as milk teeth. Puppies rely on their mother’s nursing for three to five weeks. From then onwards, they enter the weaning process. In this weaning phase, breeders and dog owners can slowly start introducing mashed foods to the puppies so that they can start alternatively seeking other meal replacements. This also serves as a distraction so that the mother can have some rest from all the nursing, as nursing can become quite exhausting. This is usually done by alternating meals, such as a few feedings from the mother and then switching to soft foods that are provided by the breeder. This will let the puppies become familiar with other forms of eating and help in the process of letting go of their inclusive dependency on mom. 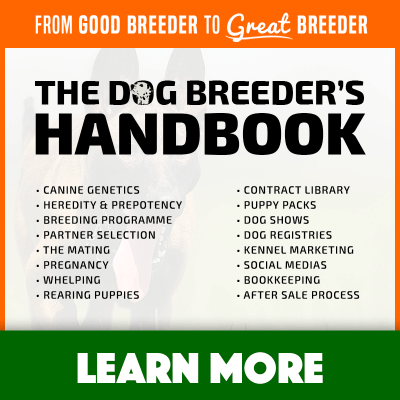 It is important to note that during this stage of development while the mother is weaning from her babies, as a responsible breeder and pet owner, you can help assist in this process. You can separate the puppies from their mother from time to time to allow them to grow in confidence in the absence of mom. You can gradually increase the times apart as time goes on until it no longer poses any stress. In addition to assisting the separation to ensure independence, there are also other ways in which you can help assure that the weaning is more feasible. Just as the nursing period lasts about 3 to 5 weeks, the weaning process itself also lasts another 3 to 4 weeks. During this process, after the mother has instinctively reduced her nursing time with her pups, you can start by giving regular meals of soft foods. About the fourth week is an ideal time to start introducing nutritious soft foods that are easily digestible without forcing them to eat. In time, they will be able to eat on their own when they want to. You can start by mixing half milk-replacement formula and half water to dilute it and let them drink from a bowl so they get used to not sucking. Some of the recommended foods at this stage are ground meat, soaked premium kibble (also good for the teeth) and any other high-quality and fresh meats. It also helps to add some water to the kibble at the start also to soften it up. It’s best to give them foods that are fresh and raw and that don’t contain any bones. For instance, you can start with some chicken or even some fish. Meat bones can be used to help them with their teething. Only around 5 or 6 weeks should red meats be introduced to their diets. Also, keep in mind certain foods that should not be fed to the puppies at this stage. Cow milk and wheat are not to be introduced. 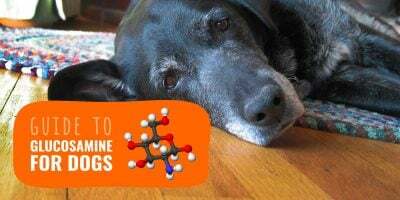 Treats from the pet stores and dry food contain too many added ingredients and processed chemicals that can keep them from growing at an optimum level. It’s vitally important to monitor their weight during this time to make sure they’re getting adequate nutrition and growing at a normal rate. 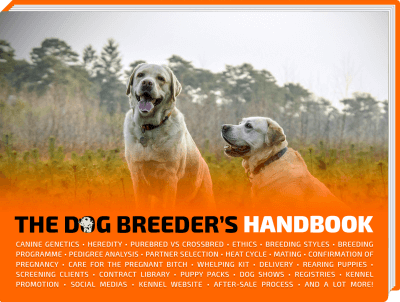 Feel free to download our free record-keeping charts for dog breeders! As you take on the responsibility of caring for puppies, it can often time be a stressful experience for someone who is not fully prepared. The best thing you can do to assist in the process of weaning is to remain patient. Weaning can be a messy business because the puppies will inevitably get dirty from the feeding so clean them often just like the mother would. 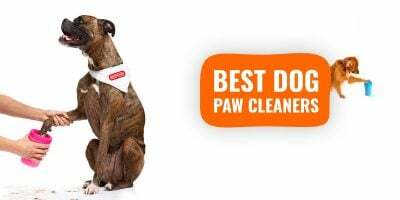 Furthermore, dealing with a litter as opposed to one or two pups, you can face the issue of not all the puppies progressing at the same rate, so you need to plan accordingly and perhaps have another person to help you. Learn how to bottle feed puppies, or how to tube feed small puppies. Always consult your vet for further instructions or to receive advice on what foods to eat. By around 7 to 8 weeks of age, a puppy may already be eating on their own. Only then, you can start introducing dry food to get them used to the act of chewing, and water for hydration.